Found in Broward County, Plantation, Florida has a population of about 91,500 residents. It's also a part of the much larger Miami Metro area, which has a population of about 5.6 million residents. Along with the many residents, the area hosts millions of visitors every single year. The city is actually rather famous. The movies, There's Something About Mary and Caddyshack had scenes filmed in Plantation. This, along with the many attractions in Miami, draws visitors to the area. They come with their own unique driving style and very little, if any, knowledge of the area roads. Plantation is found between Interstate 75, Interstate 595 and Interstate 95, with Florida’s Turnpike running through a portion of the city. The Florida portion of I-95 is known as the most dangerous highway in the United States. 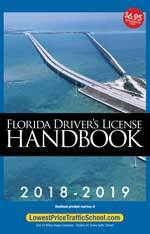 The Florida portion of I-75 is known as the 15th most dangerous highway in the country. Broward County suffers from more than 26,000 traffic accidents every year. About 200 people are killed in traffic crashes in Broward County every year with thousands injured. Traffic crashes in Broward County and Plantation are on the rise. The authorities have to monitor the roads or these statistics would be far worse. In 2015, authorities issued more than 195,000 traffic tickets throughout Broward County. This doesn't include the written or verbal warnings given or those not caught that were breaking traffic laws. Out of the tickets issues about 96,000 were for speeding, 18,000 were for careless driving and around 15,000 were for disobeying a traffic signal. These offenses often lead to accidents and they are very dangerous. When you receive a traffic ticket in Plantation, Florida, you end up with points attached to your driver's license. Each ticket ranges from 3 to 6 points, depending on the severity of the offense. For example, if you're caught speeding at less than 15 mph over the posted limit, it's only worth 3 points. However, if your speed is above 15 mph over the posted limit, the ticket is worth 4 points. Even worse, if you cause an accident while speeding, the ticket comes with 6 points. 12 points in 12 months to earn a 30-day suspension. 18 points in 18 months to earn a 90-day suspension. 24 points in 36 months to earn a 365-day suspension. Those caught driving with a suspended license face an additional fine of up to $500 and 90 days in jail. 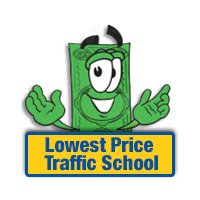 Pay the ticket and let the clerk of the court know you plan to enroll in online traffic school. Enroll in the basic driver improvement course. Complete the course and pass the test. Turn your certificate of completion into the clerk of the court. Once this is done, the points from your ticket will be gone and you won't have to worry about higher insurance rates. It's a small price to pay to keep your insurance from going up. The eligibility requirements for traffic school in Florida are rather straight-forward. You get to take the course up to five times and once every 12 months. If you haven't taken the basic driver improvement course in 12 months and you haven't used up your five times, you're eligible. Whenever you receive a traffic citation in Plantation, Florida, you will pay the ticket with the Broward County Clerk of the Court. The clerk of the court will also take your certificate of completion for traffic school and answer any questions you may have about the ticket. Those needing more information about the Broward County Clerk of the Court can find it on their website.